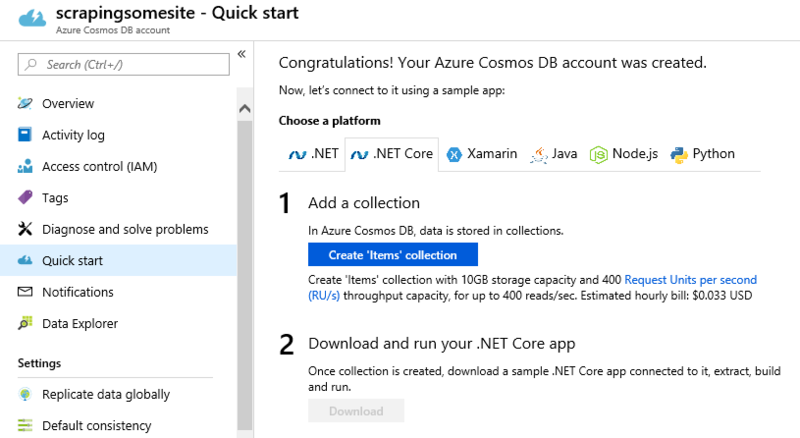 This is a tutorial of how easy it is to set up a CosmosDB. 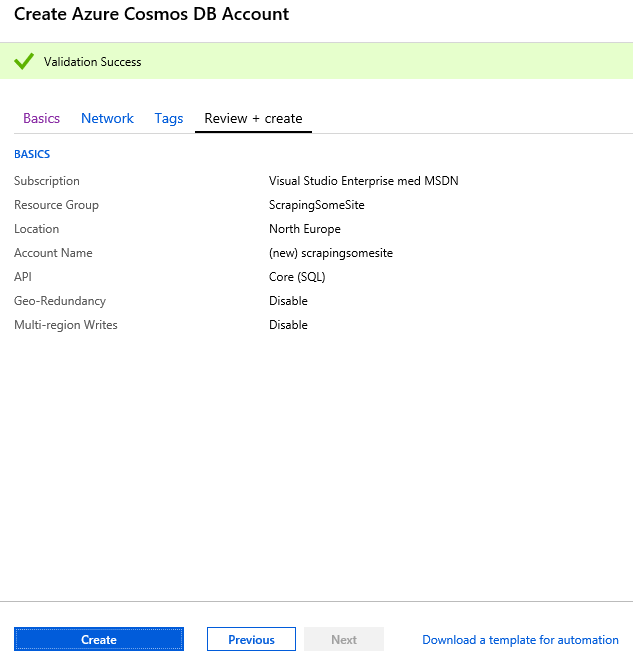 Part of a blog series about Azure Functions and Cosmos DB. 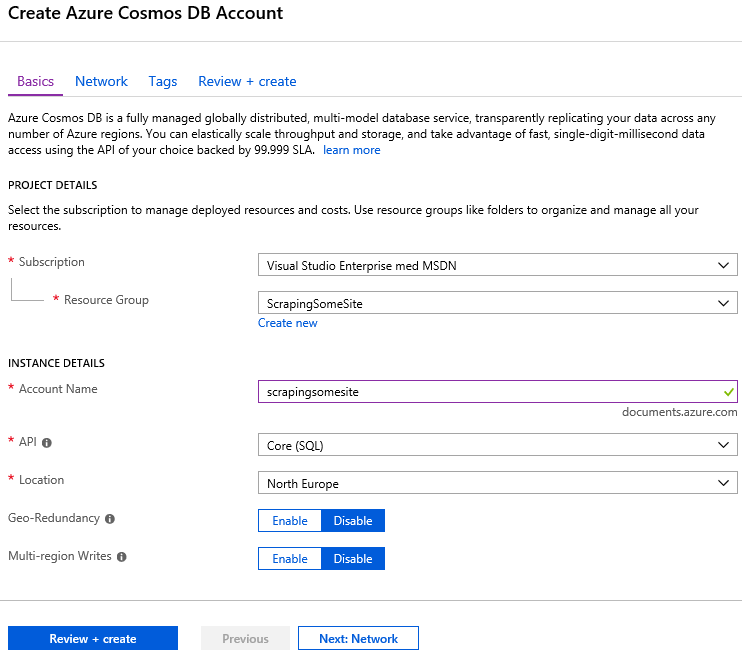 Azure Cosmos DB is Microsoft’s proprietary globally-distributed, multi-model database service “for managing data at planet-scale” launched in May 2017. 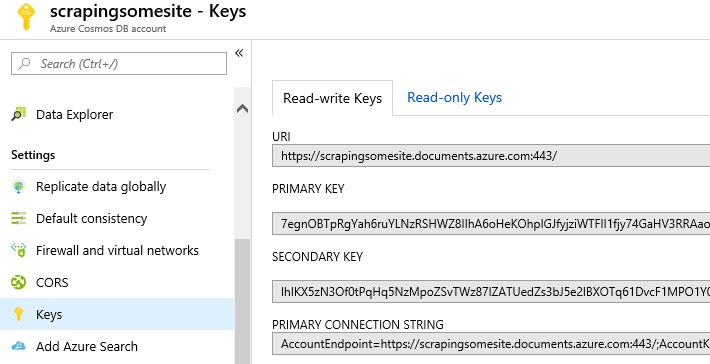 It builds upon and extends the earlier Azure DocumentDB, which was released in 2014. It is schema-less and generally classified as a NoSQL database. The Partition Key is used to automatically partition data among multiple servers for scalability. Choose a JSON property name that has a wide range of values and is likely to have evenly distributed access patterns. If you have for example City that is a good partition property. Throughput 400RU/s is the the lowest and is a good start. Throughput is specified in request units (RUs) per second. The number of RUs consumed for a particular operation depends on a number of factors, but fetching a single 1KB document by its id field consumes 1 RU. Delete, update, and insert operations consume around 5 RUs for 1 KB documents.